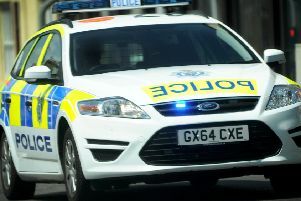 Police are investigating a series of moped and motorcycle thefts in Hastings and St Leonards. Some 47 incidents, plus three attempted thefts, between October 1 last year and January 7 this year led to officers organising an operation to try to trace stolen bikes and to gather information about potential offenders. They have also increased patrols in vulnerable areas, urged owners to increase security and vigilance, and have appealed to people to report any suspicious activity. Inspector Olivia Carroll, of the Hastings prevention team, said: “That might include a sudden increase in comings and goings at garages or storage facilities associated with motorcycles. Any owners who may have subsequently traced stolen motorcycles themselves are asked to let officers know as soon as possible. Any information can be reported online or by phoning 101, quoting Operation Jump. Alternatively, details can be passed anonymously to the independent charity Crimestoppers or by calling it on 0800 555 111. One person arrested on suspicion of burglary was later bailed and released under investigation. Another person was released with no further action being taken. Alfie Apps, 19, of Marline Avenue, St Leonards, was arrested on Monday, January 14. He has been charged with handling stolen goods – a Honda CBR 125cc motorcycle – and driving offences. He has been bailed to appear before Hastings magistrates on Wednesday, February 13. Advice on securing motorbikes can be found at https://www.sussex.police.uk/cp/crime-prevention/theft-of-a-vehicle/theft-motorcycles-scooters/.